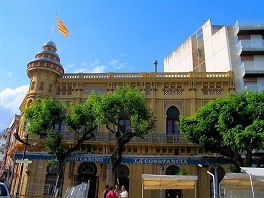 Both in winter and in summer, thousands of tourists from all parts of the world gather in the hotels in Sant Feliu de Guixols, so that in spite of a local population of only 22000 inhabitants, it has the animation of a really great metropolis. At the end of the bay, the mountain of Sant Elm closes it off from the sea, forming the heights of Les Planetes, Sang-i-fetge and Santa Rosaria. On this mountain you can find the hermitage of the same name, associated with the fishing activities of the people. 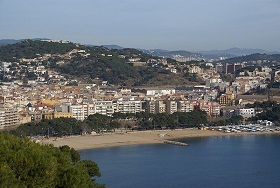 From the heights of Sant Elm you can see south Tossa de Mar and, north Llafranc and Begur. Three kilometres from Sant Feliu de Guixols there is the wide and very nice beach of Sant Pol.